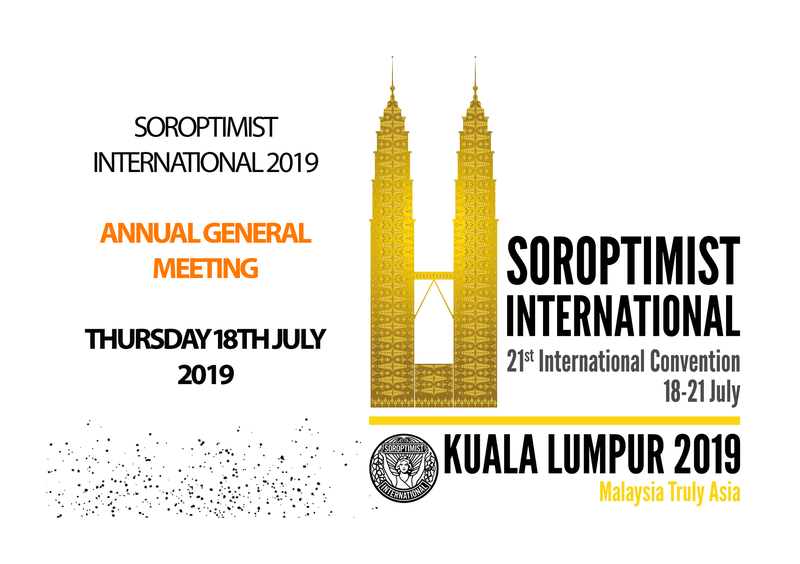 It is with great pleasure that we invite all members to attend the 2019 Annual General Meeting of Soroptimist International. The meeting is being held on Thursday 18 July at the Impiana Hotel in Kuala Lumpur, Malaysia. The meeting will commence with formal matters, moving onto presentations of three SI President Appeals. Delegates will be given the opportunity to ask questions during the meeting. Refreshments will be served following the meeting when you will have the opportunity to meet the SI President, the Authorised Representatives of the four SI Federations, the Directors and staff of SI. Please find a link to your invitation and delegate information HERE.